Piper Jaffray analyst Gene Munster late yesterday released a new research note to investors centered around Apple’s upcoming product launches for the rest of the year, including key predictions on the anticipated low-cost iPhone, potentially named the iPhone 5C. In his note, Munster predicts that the iPhone 5C will not come with Siri, the intelligent personal assistant within iOS, and that the device will replace the iPhone 4S at the bottom of the iPhone lineup. Munster also believes that the lower-cost iPhone will sell for an estimated $300 off-contract. In terms of the phone itself, we expect the cheaper phone to have a plastic casing, 4" display, and lower end internal specs (processor, camera, memory, etc.) than the 5S/5 line up. Additionally, we believe that Apple may exclude some software features, such as Siri, which we note was not an option on the iPhone 3GS or iPhone 4 upon launch. Munster apparently believes that omitting Siri from the iPhone 5C would help differentiate the lineup enough to limit cannibalization of Apple's more expensive iPhones by the cheaper 5C model. It would, however, seem to be an odd move given Apple's efforts to promote Siri and other voice functionality, as well as the fact that the cheaper iPhone 4S currently on the market already supports Siri. The analyst also makes remarks on the iPhone 5S, stating that the phone will indeed incorporate a fingerprint sensor into the home button, but that the feature would be limited to user authentication. We expect the iPhone 5S to include a fingerprint sensor with a basic unlocking feature, but do not believe the sensor will be built into iOS 7 enough to introduce a feature like secure payments as we believe that Authentec has only been a part of Apple for less than one year. We believe that payments could be a key feature of the next version of iOS in 2014. The phone is otherwise expected to follow Apple's upgrade patterns in processor speed and battery life, moving to a new custom A7 chip while featuring more memory and other spec bumps. Munster expects Apple’s new iPhone lineup to feature the iPhone 5S, iPhone 5, and low-cost iPhone, which contradicts an earlier report last month which stated Apple would discontinue production of the iPhone 5 alongside the launch of the iPhone 5S and lower cost iPhone. Munster also makes predictions on the upcoming iPad line and other products, stating that October would be the likely release month for the fifth-generation iPad and the new iPad mini. The analyst, who has for many years been a proponent of the idea that an Apple television is right around the corner, also states that Apple is likely to introduce a new TV device before the end of 2013, with a 70% chance of the product shipping within the first half of 2014. 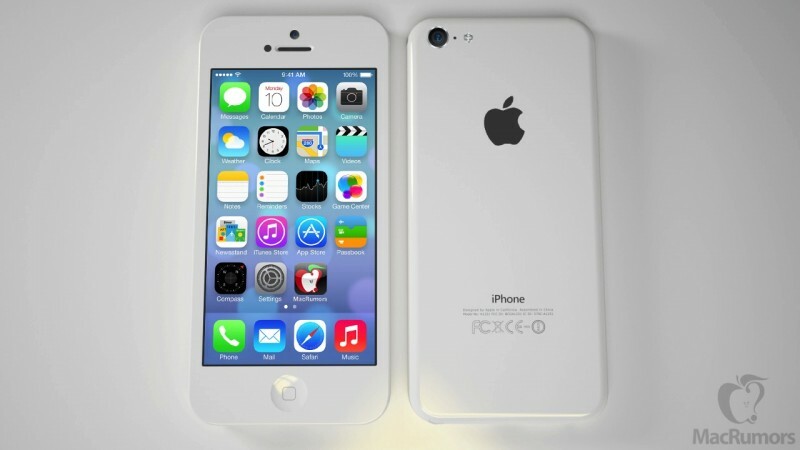 Finally, Munster believes that a rumored larger-screen iPhone and the rumored “iWatch” will arrive by mid-2014. Last week, news hit that Apple would unveil its next generation iPhone at a September 10 event, but it remains unclear if the low-cost iPhone will also be revealed at that time. Apple is also expected to introduce the fifth-generation iPad as soon as next month, with an updated iPad mini rumored to be following fairly soon after. "We have to find a way to make the iPhone 5C worse than the iPhone 5S, because we dont have the ideas to make the iPhone 5S that much better than a cheap model." I predict he's wrong about the lack of Siri. There's no way Siri won't make it to the 5C. It runs on a 4S, it will run in he 5C. Munster doesn't have a good record on anything, especially the Apple TV the last few years. His predictions in this article are the same as the rumors we have read. Well when the 5C does come with Siri, can we start ignoring this guy completely? Can we have an option in MacRumors settings to hide all stories that originate from analysts? I can come up with something like the iPhone 5C won't have 64gb storage and will start with 8gb instead of 16, does that make me an analyst?